To kill periodontal disease bacteria and stop their infections before they cause physical destruction or loss of attachment around your teeth. Studies have shown that Laser Decontamination reduces bacterial counts from billions CFU (colonies forming units) to only hundreds CFU’s. It will take up to 6 weeks for bacteria to reach again maximum capacity plateaus. To biostimulate new blood vessels, collagen, gum attachment and bone formation. To reduce or eliminate bacteria. During the normal cleaning process most patients will have some areas that may bleed, this allows bacteria that are present in all of our mouths to flood into the bloodstream and sometimes settle in weakened areas of our body such as a damaged heart valve or artificial knee or hip etc. We pre-medicate those patients that we know have a heart condition or artificial joints with antibiotics so that these bacteria cannot cause harm to these areas. Latest research shows that these oral pathogens have now been linked to a number of other diseases such as cardiovascular disease, Rheumatoid Arthritis, low birth weight babies, Diabetes etc. Anything that we can do to reduce or eliminate these bacteria is a positive for our patients. 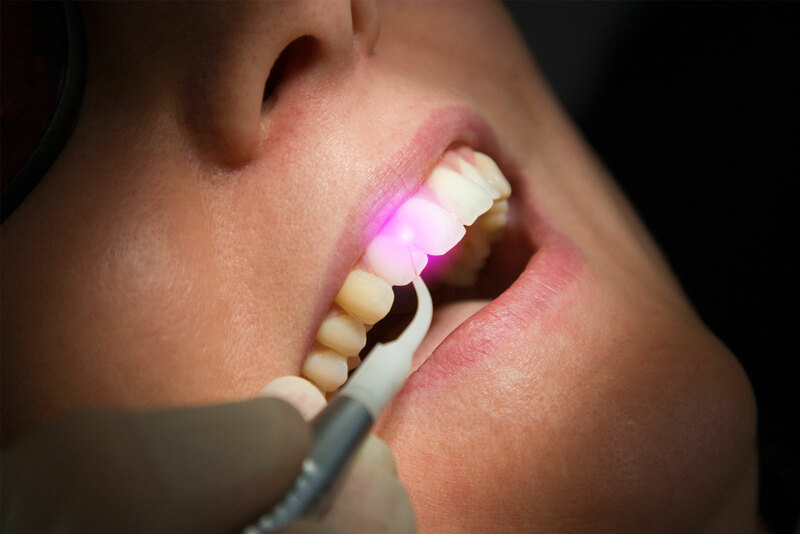 The laser decontamination process is painless and normally takes about 5-10 minutes. We highly recommend that you take advantage of this service as part of your routine cleaning.